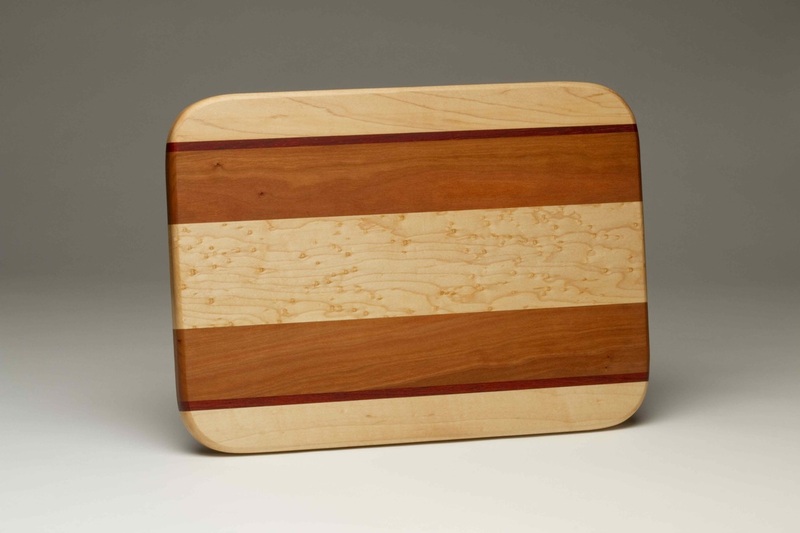 My cutting boards are meant to last a lifetime. I make them from 95% Wisconsin hardwoods: maple, walnut, cherry, oak, pecan, and elm, as well as figured lumber like birdseye maple and curly maple, which are also sourced locally. Lastly, I also use a small amount of exotic hardwoods, like Paduak or Purpleheart, to add accent and visual appeal. 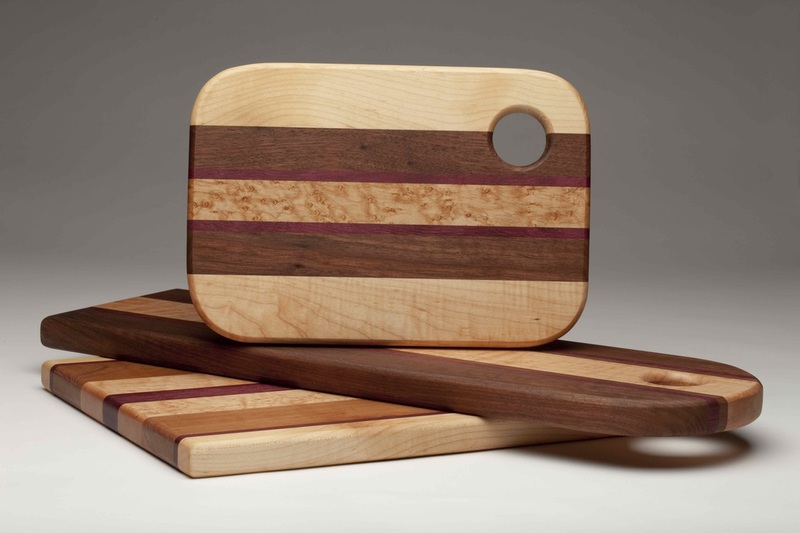 Below are the standard sizes of cutting boards I offer. 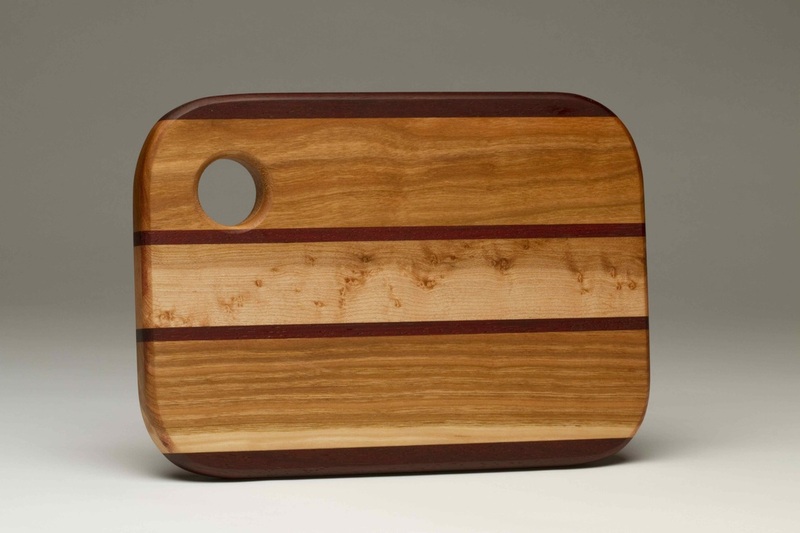 I am also very happy to custom make a cutting board for you to whatever sizes or specifications you'd like! Small boards are 7x10 and between 3/4 and 7/8 inches thick. They have a small hole for hanging, and are priced between $20 and $24 depending on types of woods used. Large boards are 12x20 and between 3/4 and 7/8 inches thick. They have a drip groove around the outside edge of one side to catch juices of roasts, watermelons, and other 'juicy' foods. They are priced at $85. 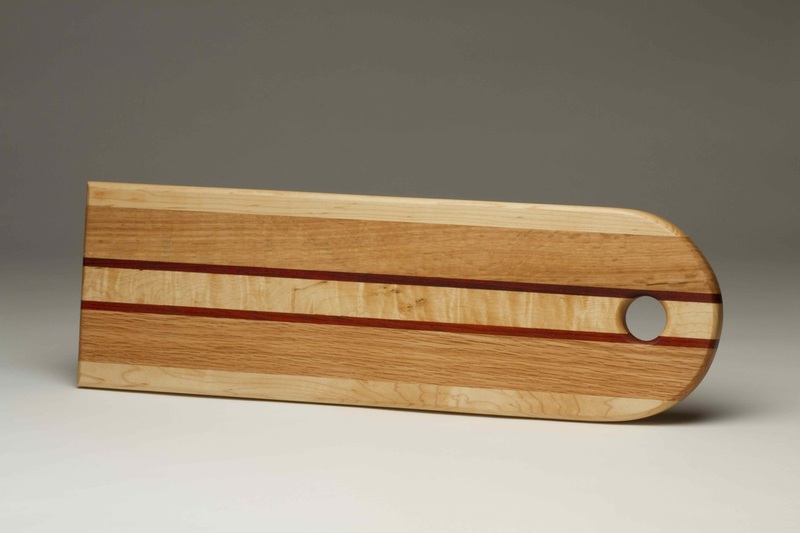 Baguette boards are 6x19 and between 3/4 and 7/8 inches thick. They have a small hole for hanging, and are priced between $36 and $42 depending on types of woods used. In addition to the standard choices, I can custom make a board to any size and types of woods you'd like. I've made under-the-counter boards, board to fit on one side of a range or sink, and many other sizes. Medium boards are 10x14 and between 3/4 and 7/8 inches thick. They are priced between $38 and $45 depending on types of woods used.